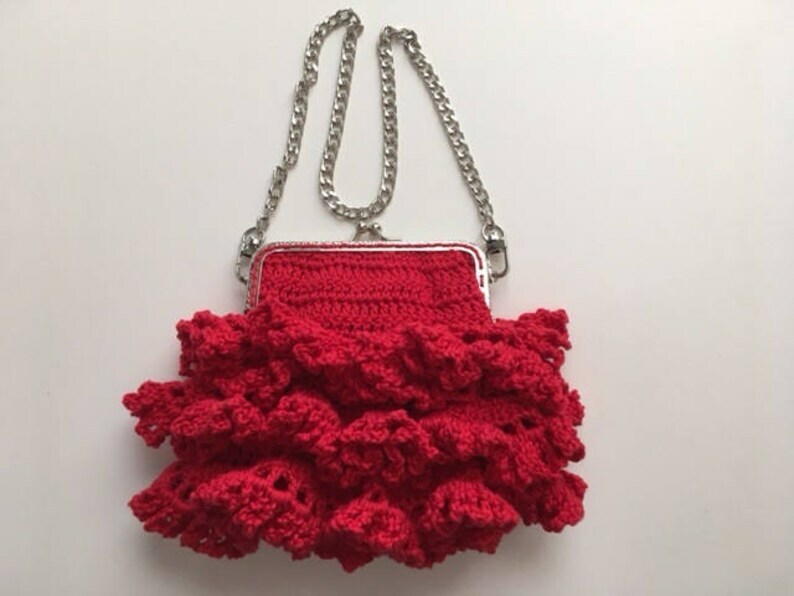 Hand crocheted purse made with Paton's Grace (TM) Cotton yarn in red and a silver kiss clasp. The handle is a removable silver chain with a 10 inch drop. 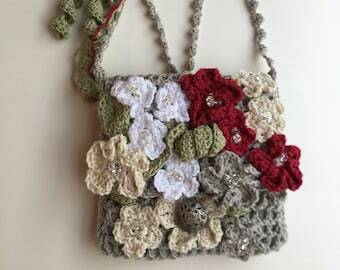 The bag is 5 inches by 6 inches with three rows of lacy ruffles. Plenty of room for your keys, wallet and cell phone--an iPhone 7 or 8 fits inside perfectly. Perfect for date night or take it to work and just wait for the compliments! Dress up your favorite jeans and tshirt giving them a glamorous vintage appeal. The item is hand washable.. I prefer PayPal for your payment. Checks will be accepted, but an item will NOT be shipped or a custom item will NOT be started until the check has cleared the bank. Information regarding where to send the check will be provided on an individual basis. PAYMENT IN FULL MUST BE RECEIVED BEFORE ANY ITEM IS SHIPPED. I will be happy to refund the purchase price plus shipping on any item purchased that you are unhappy with. As soon as I receive the unwanted item by return shipper I will PayPal you your full refund. CUSTOM ORDERS MUST BE PAID IN FULL BEFORE THE PROJECT BEGINS. 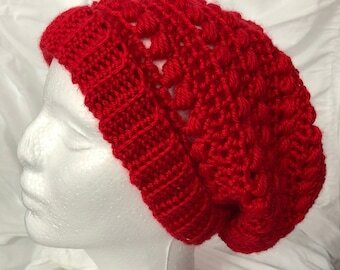 All items listed for sale in the Chesapeake Bay Crochet Etsy Store are listed "AS IS." No promises are made or implied other than indicated in the description of each item. Additional photos will be provide to anyone who requests them. *You have 3 (three) days to cancel any custom item. *Custom items take time to create, so please expect to receive your custom item in 2-3 weeks. An more precise estimate of the time involved to complete the project will be made know to you when you place your custom order. *Unless otherwise requested by the customer, Chesapeake Bay Crochet will take a picture of your custom item and post it on Etsy. All sales are final when the item ships. Any item can be cancelled if notification of the cancellation is received before the item is shipped. Each item will be insured with the US Postal Service. In case of loss or damage, a claim will be filed with the USPS and a refund made to the customer when the USPS pays the insurance claim. *No custom order can be refunded once shipped unless it is lost or damaged. Proof of the damage will be required. (Photos) See the General Refund Policy. *Progress photos will be provided to the customer as the project progresses. A customer can request a change or cancel the order any time before completion. Please note: If changes are requested, completion time WILL BE delayed. Final approval will be required from the customer before the item is shipped. If final approval is not received within 3 (three) days, the custom item will be considered "rejected" and be placed FOR SALE in the Chesapeake Bay Crochet Etsy Store. *When ordering a custom item, full payment must be made in advance. 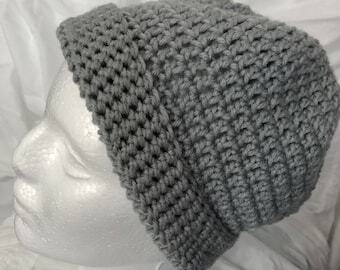 *Unless otherwise requested by the customer, Chesapeake Bay Crochet will take a picture of your custom item and post it on Etsy as advertisement and to "show off" my abilities. 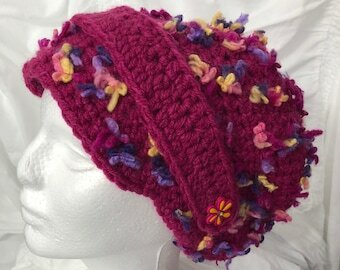 Each piece is hand-made and very occasionally a stitch may be less than perfect. This is part of the overall beauty of a hand-made piece and is not considered damage. While every effort it made to create a perfect piece, sometimes a "boggled" stitch may get through the inspection process. A custom piece cannot be returned if a customer discovers a missed stitch or other minor flaw on their piece. *Damage to a piece is considered, but not limited to, obvious tears, rips, breaks, disfigurement (as in arriving with the box smashed and the piece ran over by a large truck), burned, melted (as in a meteor striking the postal service truck or the postal service truck becoming the victim of an explosion, either accidental or deliberate) dismembered (as in torn apart my an angry bear), gunshot holes or stab wounds.